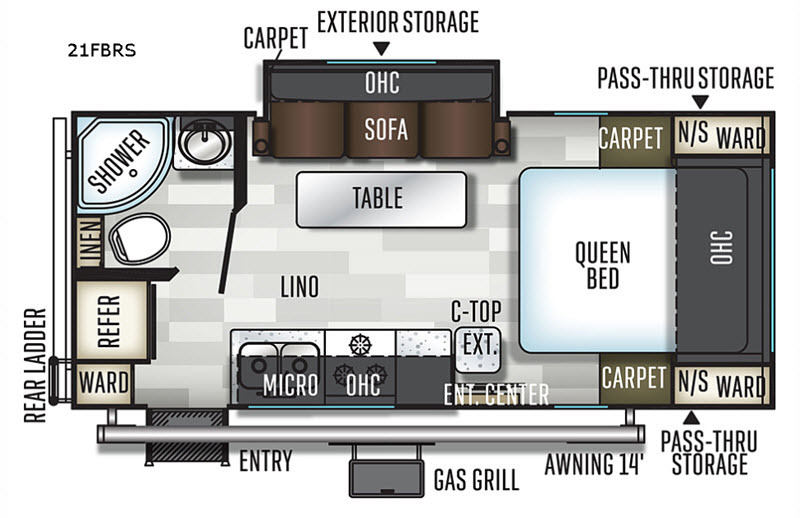 For the couple who is ready to get out and enjoy nature, this travel trailer is ideal for you! This unit has all of the basic amenities from the rear corner bath with a radius shower, to the front queen bed that makes for a comfy night's rest. 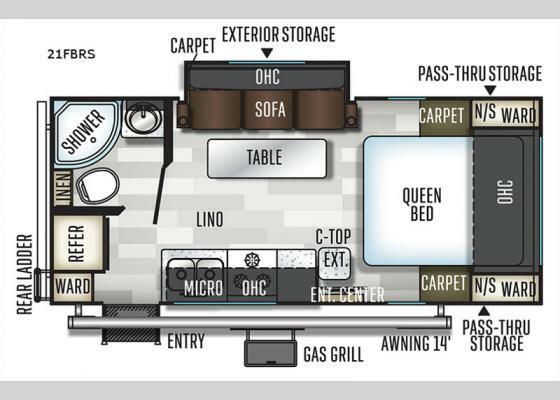 The slide out with the sofa provides extra interior space so you won't feel cramped. You'll also be able to enjoy your meals here with a table in front of the sofa. After swimming all day working up your appetite, come back to this unit and cook a meal on the three burner cooktop, or take the prep outside and use the outside gas grill! This travel trailer features a pass through storage for your larger camping items, plus an exterior storage can hold the kids' outdoor games.